Manufacturer of a wide range of products which include digital power ups and mgr tubular battery. We are ranked on top by offering the best quality of Digital Power UPS, which is known for its remarkable finish and quality. 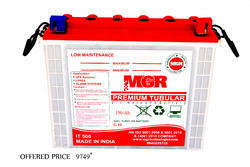 We bring forth our vast industrial experience and expertise in this business, involved in providing MGR Tubular Battery.